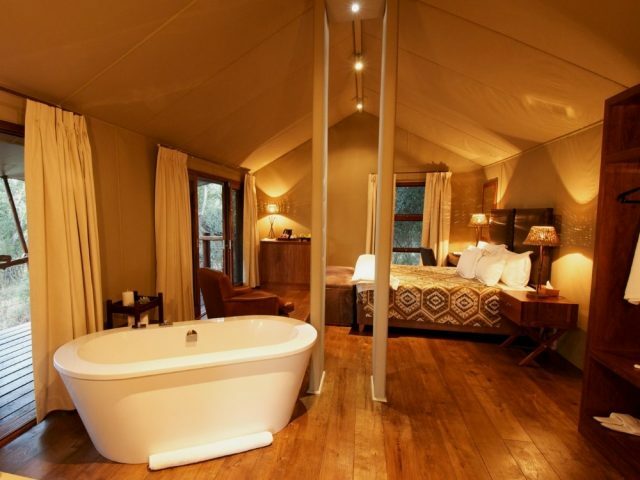 We love the slipper baths and outside showers – perfect props for a romantic break in the bush! No trackers, however you do traverse over 10 000 hectares of prime Big 5 country with your knowledgeable ranger. No cellphone reception – but hey that would just jar with you doing your best Meryl or Robert impression! 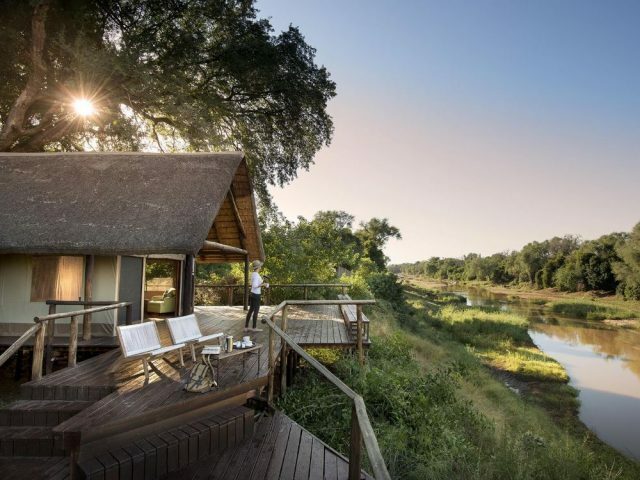 Hamilton's Tented Camp is located in the Mluwati concession within the Kruger National Park - this private 10 000 hectare area of land borders the Manyeleti and Sabi Sands - renowned for outstanding game viewing! 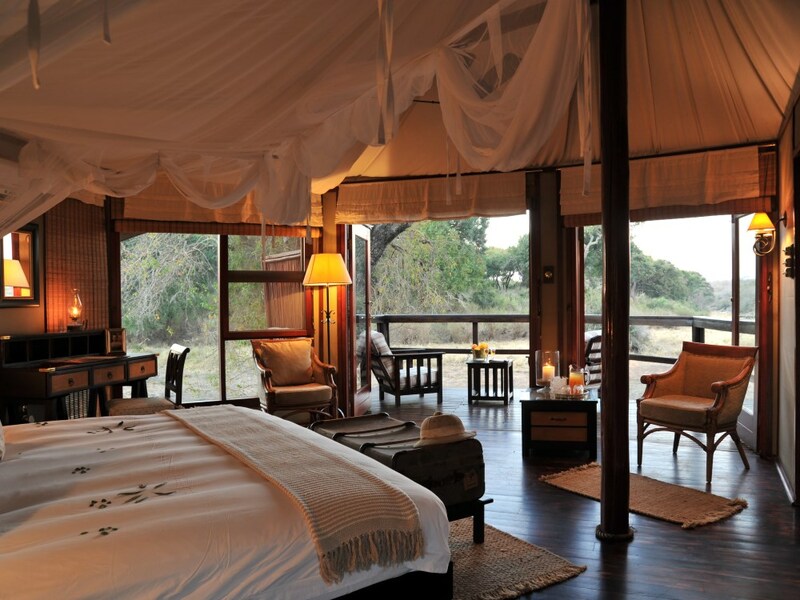 Named after Colonel Stephenson Hamilton who was instrumental in establishing the world famous Kruger National Park, Hamilton’s Tented Camp is inspired by the “Out of Africa” nostalgia of safari adventures of the early 1900’s where grace and style are created through the use of classic safari tents draped dreamily in white linen, not to mention the extensive use of old period antiques which lie scattered around the camp. You almost expect to see Robert Redford stroll in with Meryl Streep on his arm! The good news though is that unlike the old sepia photograph days of safari, you're not going to have to slog through the bush on foot with a party of porters carrying your hunting rifles – instead you'll head out on twice-daily game drives in an absolutely bang-up-to-date 4x4 open vehicle through prime “Big Five” country. As part of the world renowned Kruger Park, this area offers one of the most diverse game viewing experiences in South Africa and is home to lion, elephant, buffalo, leopard and rhino (black and white) not to mention a host of smaller game. 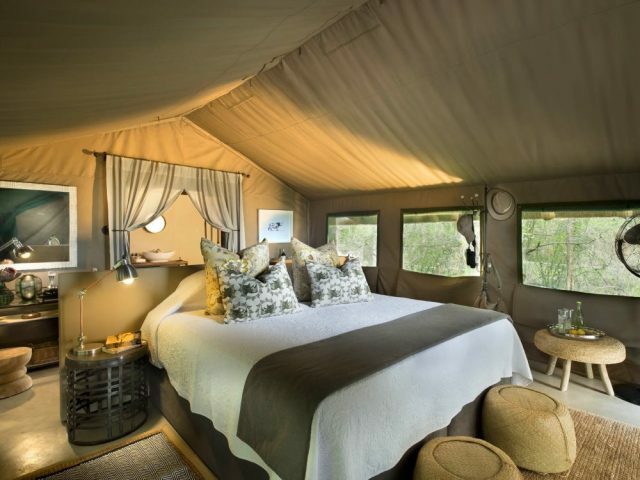 One thing to note is that quite a few of your game drives utilise the normal park road network, so you perhaps lack the real feeling of isolation offered by other camps in the private reserves. It's not all about big game though – your ranger will be happy to teach you to identify birds and trees, taste edible fruit and even track animals on foot. Other exciting activities include bird watching, guided bush walks, picnics, champagne breakfasts as well as spa treatments. Back at the lodge after your morning game drive, you’ve got the chance to relax around the lodge swimming pool, the perfect place to cool off from the sweltering summer heat (definitely not an option that would have been available to those original safari pioneers!) In keeping with the lodge's upmarket and exclusive feel, the dining experience is similarly memorable – what could be better than enjoying silver service from your butler as you savour a romantic candlelit dinner for two on your private veranda! 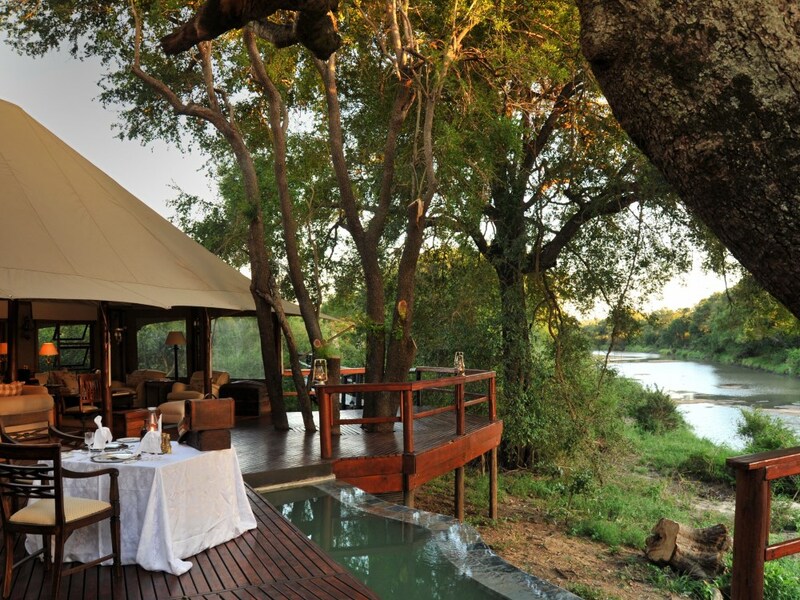 In fact, romance is very much what Hamilton’s is all about (especially given that children under the age of 8 aren’t allowed to stay here) Whilst the game viewing experience is excellent, it really does have a unique feel completely unlike the vast majority of more “normal” game lodges – and for that reason it gets an emphatic thumbs-up from us as being perfect for any couple looking for an intimate break away in the bush!